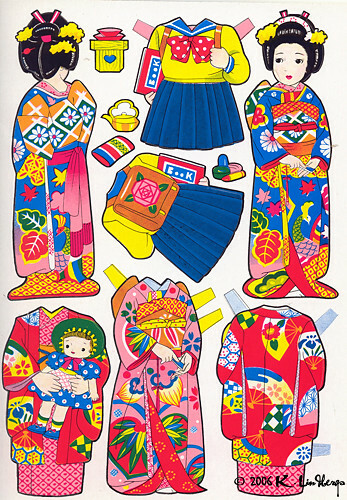 Japanese Cut Out Dressing Dolls | Flickr - Photo Sharing! I believe these were originally made in Japan in the late 1950s (reprinted later) and based on original designs by the great Kiichi Tsutaya. dirtnapdesigns, xiaobaosg, P*garnet, and 90 other people added this photo to their favorites. Hi, I'm an admin for a group called Vintage Paper Dolls, and we'd love to have your photo added to the group.